The Natchitoches Parish Jury Commission is responsible for the selection of the Jurors used by the Tenth Judicial District Court in Natchitoches Parish. The members of the Natchitoches Parish Jury Commission are: Lillie Delphin, Pat Hall, Steven Harris, and Sam Pullig. David Stamey, Clerk of Court, is an ex-officio member of the Jury Commission. All Jurors are randomly selected by the Jury Commission through a special computer program. You are seventy (70) years of age or older. Note: The above exemptions may be claimed; however, either does not prevent you from serving if you so desire. If you receive a subpoena for Jury Duty and you do not meet all of the above Qualifications, or if you wish to claim one or more of the above Exemptions, please call the Judge’s Office immediately. The Judge’s telephone number for whose Jury term you have been summoned will be listed on your subpoena. The law provides that all Jurors receive pay at a rate of $25.00 per day, plus mileage of 16 cents per mile (round trip). Payment will be sent via first class mail, following release of Jurors by the court. For civil matters, Jurors are subpoenaed for each civil Jury term. The costs associated with impanelling a Jury are prorated among the cases scheduled for trial in that term. If only one Jury trial is scheduled for a civil Jury term, the costs must be paid in full by the party responsible for calling the Jury trial. 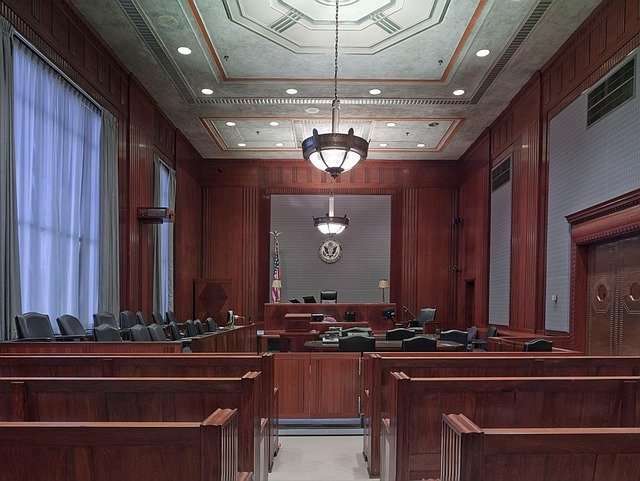 Note: After the trial is concluded and the Judge has rendered a verdict, the party that is cast with cost must pay all costs associated with Jurors having served. Petit Jurors are selected for criminal Jury trials as needed. Grand Jurors are picked once or twice a year and serve on an as-needed basis, as determined by the Natchitoches Parish District Attorney. Petit Jurors and Grand Jurors are paid by funds from the Natchitoches Parish Police Jury. Events may occur whereby a Jury will not be needed. If you have been subpoenaed for Jury Duty, you must call 24 hours before you are to appear to find out if it will be necessary for you to serve. YOU MUST CALL (318) 352-2034 FOR A RECORDED MESSAGE. If Jury service is not needed and the recorded message advises Jurors not to appear, you will not be paid for appearing.